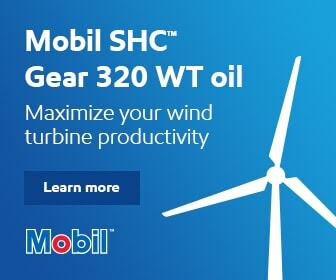 Did you know that a tool falling from a 200-foot wind energy tower will hit the ground in less than three seconds? A dangerous impact for anyone working on ground level. In its rapid descent down the tower, a falling torque wrench can become an unguided missile that may seriously endanger everything and everyone below. Falling tools are a serious site safety issue. At best, the object will increase maintenance costs by downtime spent retrieving and repairing the dropped tool. At worst, it will cause serious injury to personnel and significant damage to equipment. But, it’s a situation that can be easily avoided by using a properly matched tool or instrument tether. Correct tool tethering is a delicate safety balance—maximizing productivity while minimizing the incidence of tools dropped from aloft. To achieve this balance, it’s imperative to select the proper tether based on tool weight and usage. The safety engineers’ goal in correct tethering procedures is to make sure the tool, the application, and the recoil/retraction force are in balance. Ideally, when the tool is extended for use, only minimal force should be necessary, so as to prevent worker fatigue—or, in the reverse, cause a “kickback” when retracted. The challenge to the safety engineer is to provide a tether that’s friendly to the user and appropriate for the work environment. 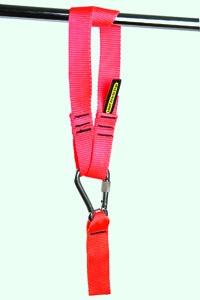 Equally important, the tether or lanyard must have ample safety margins, beyond the weight rating of the tether, to mitigate the drop force in the event of a dropped tool. 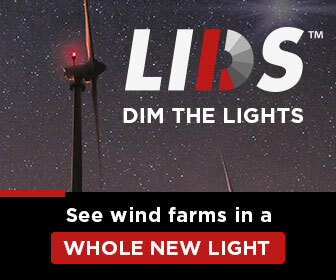 Despite the high risk to workers’ safety, little has been published on the subject of tool and instrument tethering equipment and safety techniques. Here’s a simplified guide to help with selecting tethers for tools weighing up to 25 pounds. 1. 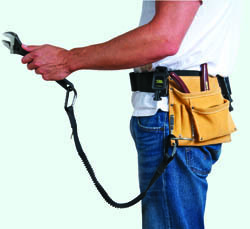 Retractable lanyards: provide an ultra-low profile to keep the tool close to the body. This is important for working in confined spaces, and/or when climbing is required. 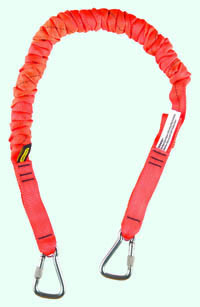 They are also ideal for multiple tether use (Image A). 2. 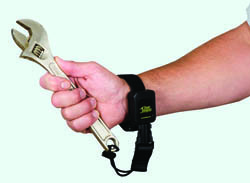 Wrist lanyards: are low-profile tethers that provide a short drop-length for easy retrieval of a dropped hand tool (Image B). 3. Personal tool tethers: are best for single-use tools that move with the worker (Image C). 4. 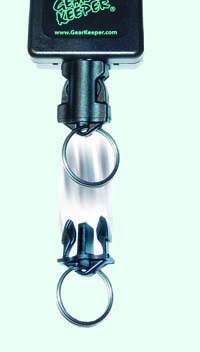 Personal tool tether with anchor strap: for single-use tools attached to a structure for additional security or ease of use (Image D). 5. Anchored tether systems: attach a heavy tool (five pounds or more) to a structure (Image E). Note: Generally, any tool over five pounds should always be anchored to a structure to transfer the “dropped tool” shock load from the person to the structure. 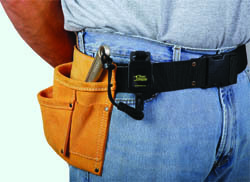 A fixed lanyard system is acceptable when you don’t need to remove a tool from the lanyard (Image F). However, when an easy tool change-out is required, a Side Release Lanyard System or Carabiner Clip is the best option (Image G). Here are some simple steps to follow when deciding on the use of a lanyard. • Lanyard loop. If a tool has a lanyard loop, simply attach the lanyard to the loop. • Large tool ends. 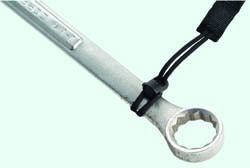 A tool’s ends must be large enough to allow a lanyard to be looped and cinched securely without slipping off. If it is, a lanyard can be safely used. • Small tool ends. If a tool has small ends (so a looped lanyard would likely slide off) or no lanyard loop at all, a ring must be attached. • Tool modification. If none of the above options work, the tool must be modified by a safety engineer or the tool manufacturer. Unlike fall protection devices, there are no universal specifications governing tool tethers. As such, when tethers are ordered without specifications beyond the weight of the tool, chances are the tether may not be the right one to use. Safety engineers have no real basis for choosing proper tethers, and may arbitrarily determine tether selection based solely on the weight of the tool (i.e. “I need a tether for a three-pound tool.”) Without additional specifications, this could create a potentially dangerous situation. Tethering heavy tools to a person (generally over five pounds) is a significant safety concern. Safety engineers should instead consider using anchor tethers. Anchored tethering safely transfers the shock load produced by a dropped tool from the worker to the structure. For very heavy tools (over 10 pounds), structure anchoring should be mandatory. 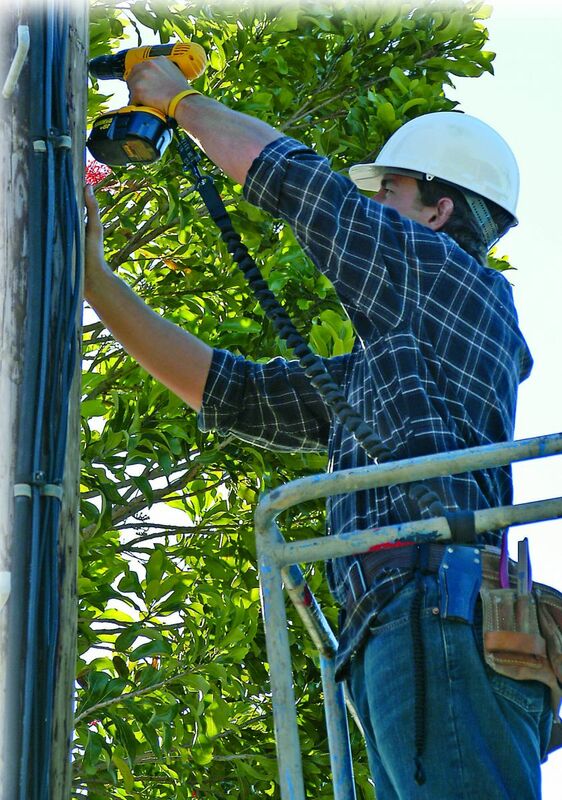 When workers are using a group of small hand tools (under two pounds), quick-connect tethers offer easy tool change-out and avoid the entanglement danger of having multiple tethers. Before purchasing a tool or instrument tethering system, make sure that the tethers and lanyards are dynamically load tested for the tool weight specified. Confirm the tool tether weight ratings indicated have a safety margin beyond the break point, so that the tether or lanyard can safely handle the shock load of a dropped tool or instrument. John Salentine is co-founder and VP of Hammerhead Industries Inc., manufacturers of the Gear Keeper tethering systems. The company offers a free, 12-page “Safety Engineer’s Tool and Instrument Tethering Guide” on their website. Photos: All photos copyright Hammerhead Industries, Inc.